The basic premise of William Shakespeare’s Romeo & Juliet, two lovers from enemy families, has been used numerous times in Bollywood, whether filmmakers acknowledge the play or not. Even in the past couple of years we’ve had Issaq and Ishaqzaade, both essentially versions of Romeo & Juliet set in modern India, which is what Sanjay Leela Bhansali’s latest is as well, but while those two went for more gritty realist approach, SLB sticks to what he does best: grand, colourful, full-on musicals. I am not a Whedon fan boy, at least not of the same level as a lot of people are -you could hear murmurs and chuckles in my screening whenever some familiar face from Whedon’s previous work popped up, and I only knew a few. 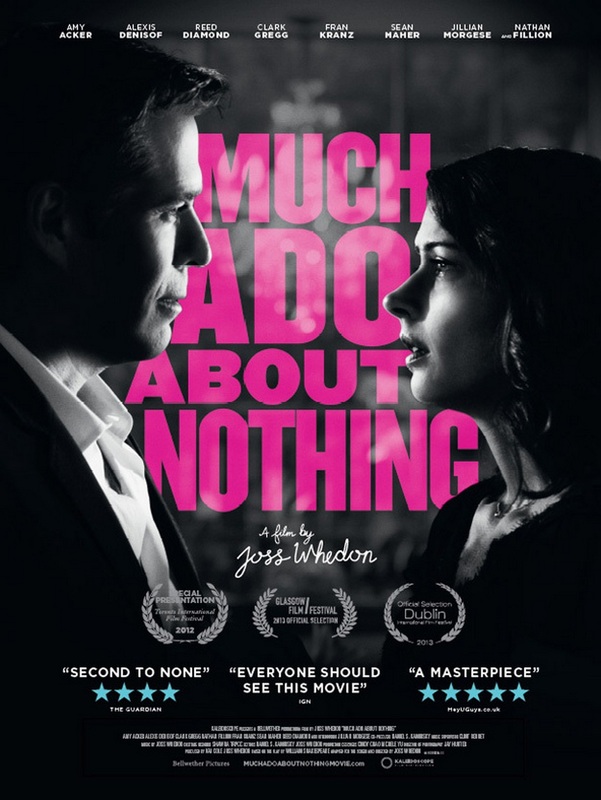 What I have seen of his work, I have thoroughly enjoyed, and what intrigued me most about the latest adaptation of Shakespeare’s Much Ado About Nothing is how a director goes from a massive superhero film, to a 10 day-shoot in his back garden of an old English comedy. I suppose it’s not the first time the superhero movies and Shakespeare films have shared common artists. Kenneth Branagh – famous for acting and directed many Shakespeare plays, having done his own version of Much Ado… with Emma Thompson – did direct Thor a couple of years ago, and people said that there was something Shakespearean about the family relationships of the Nordic Gods. If Branagh can switch between worlds, there’s no reason Joss Whedon can’t.